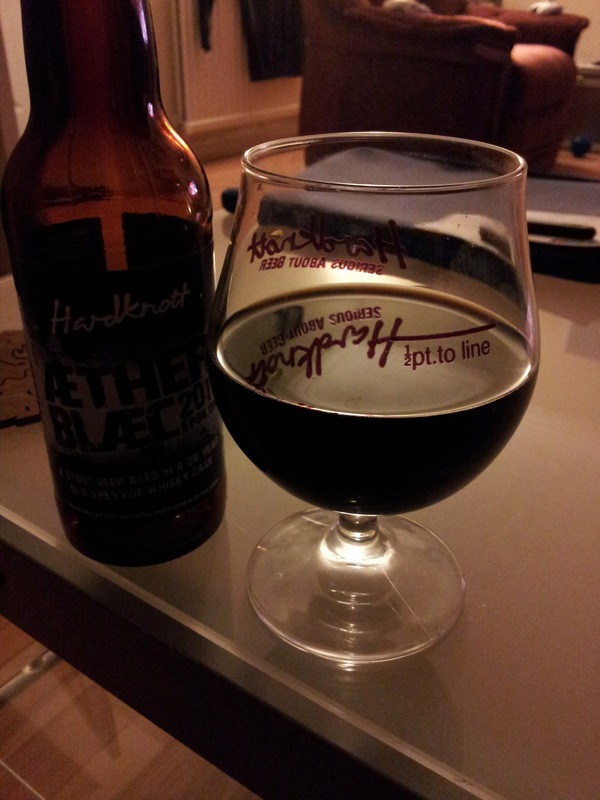 Just before Christmas I placed an order with Hardknott brewery's new online shop for some Æther Blæc Epsilon 2011 and Vitesse Noir, along with one of their rather snazzy goblets. The order arrived a couple of days later without fuss and superbly packaged. I'll write about Vitesse Noir another time. This post is about an impatient opening of the Æther Blæc before I lay the other one down for ageing. 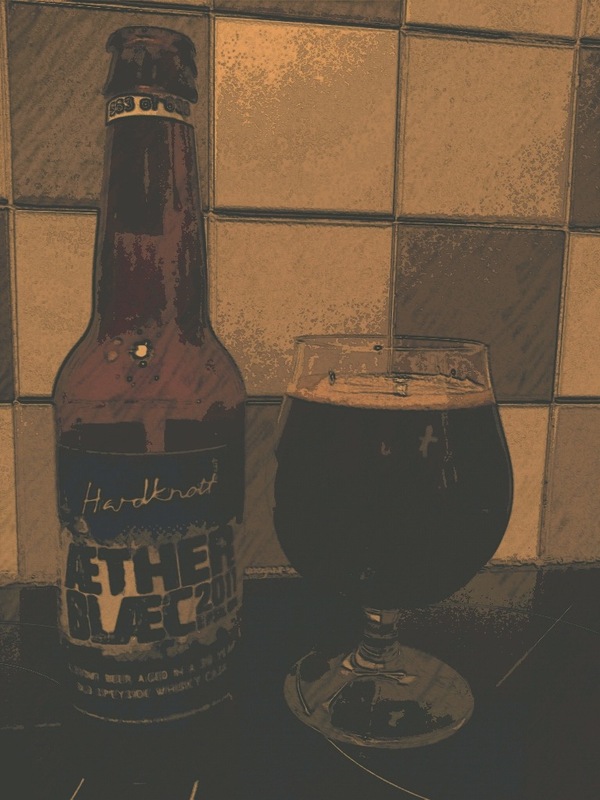 Hardknott only make Æther Blæc once per year and this year they used whisky barrels from four different distilleries in which to age it. Epsilon is the first of these with the others to follow later. The barrel used for this batch was originally used by the Aultmore (Speyside) distillery that held slowly maturing whisky for 28 years, from 1982 to 2010. The Hardknott double imperial stout then replaced the whisky where it was left for six months, giving it chance to absorb all that whisky character - or as Hardknott put it so eloquently on the bottle "enabling the Æther spirit to infiltrate the Blæc magic". The beer has a lovely rich, warming mouth feel which was perfect for the cold frosty night it was easing me in to. The smokey whisky flavours are very well balanced against the liquorice, malt, dark fruits and chocolate of the stout. This is a real sipper of a beer which warms and satisfies as your glass empties while you explore the flavours. It will be interesting to see how ageing changes those flavours and the conditioning. How long should one age bottles such as this? What's your experience of laying down barrel aged imperial stouts and the impact it has on their flavour and conditioning? Is there a formula or is it trial and error?